A lot of Birthday Invitation Examples are made to provide relevant details about a birthday celebration. 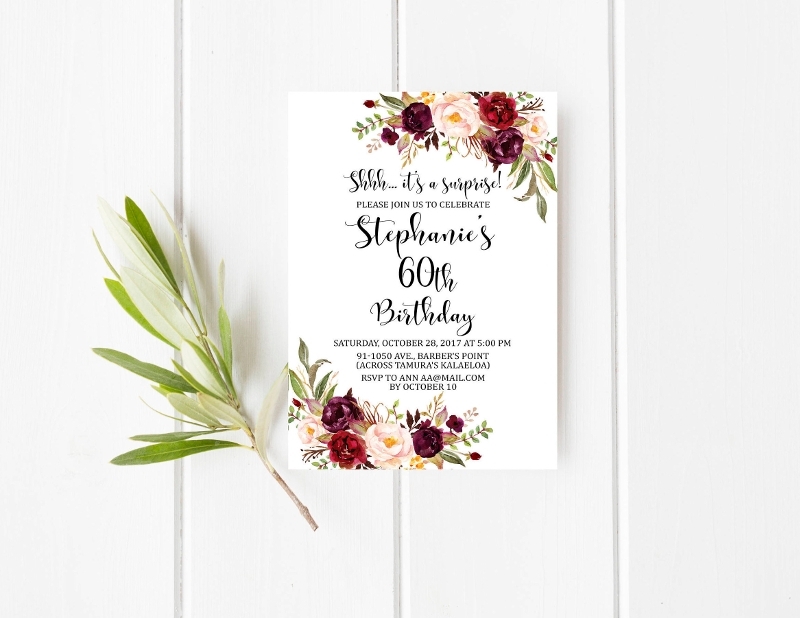 No matter what age the celebrant is currently at, birthday invitations can be used to request for the presence of people that the celebrant would like to see in his or her birthday party. 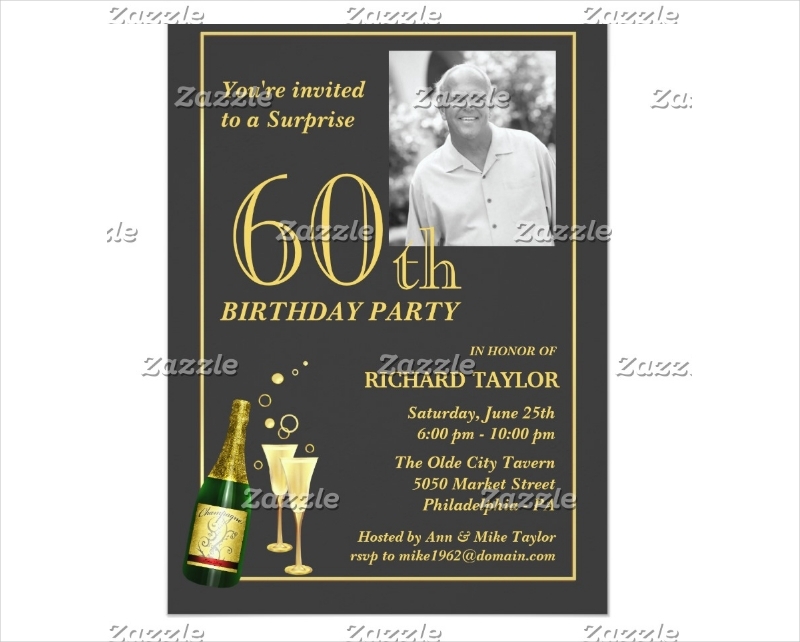 One of the classier and more regal birthday invitation includes the 60th birthday invitation. 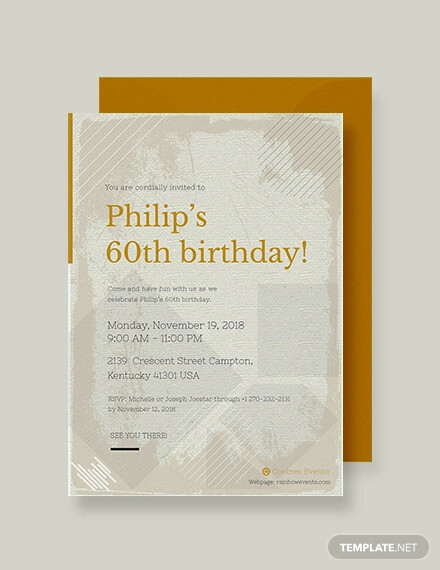 Unlike Printable First Birthday Invitations, a 60th birthday invitation looks classic and formal – with the exception of birthday invitations following a funny or unique birthday theme. 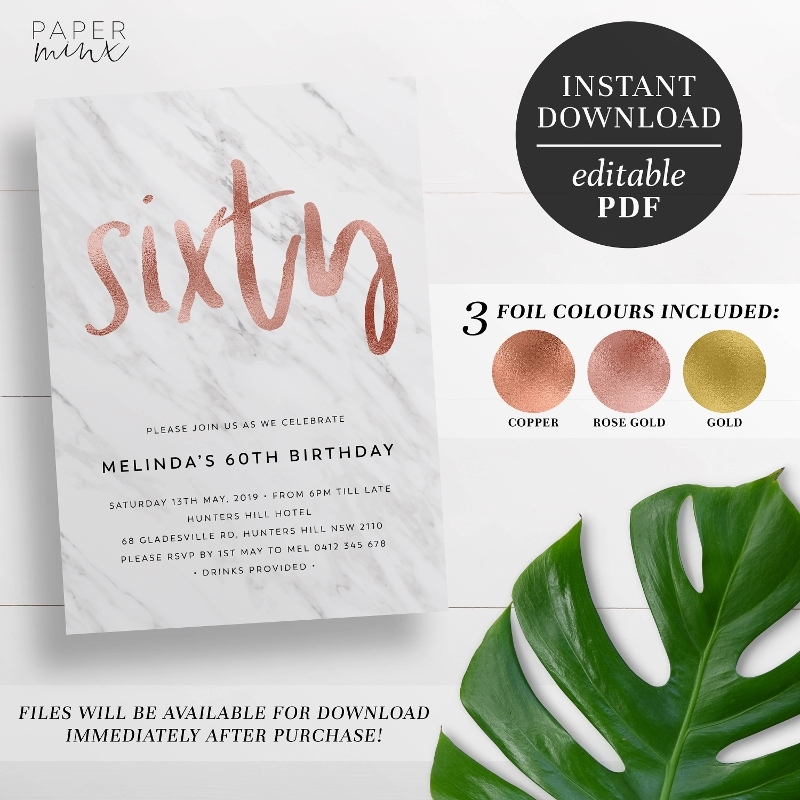 If you want to create a 60th birthday invitation that can help you inform people about your birthday in the best way possible, keep on browsing this post for references, tips, design guides and actual 60th birthday invitation samples. 3. 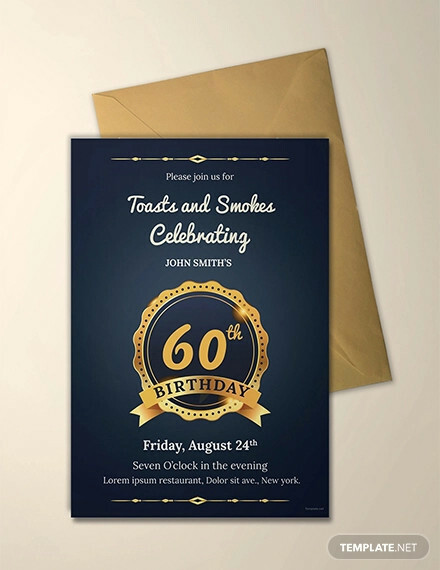 A minimalist 60th birthday party invitation is also great. Minimalism is one of the ways on how you can reflect the refined point of view of the person which has been tested by time. This is also applicable to be used as a theme for 80th Birthday Invitations and other Adult Birthday Invitations. 4. 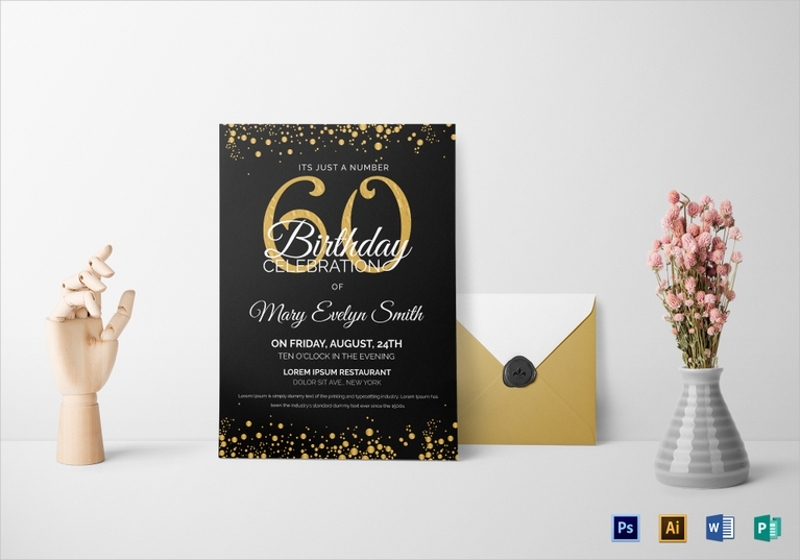 Retro and vintage Birthday Party Invitations will be amazing options if you want to have a blast from the past. Use pearls, necklaces, motel backgrounds and the like to make the vintage feel be realized. 5. 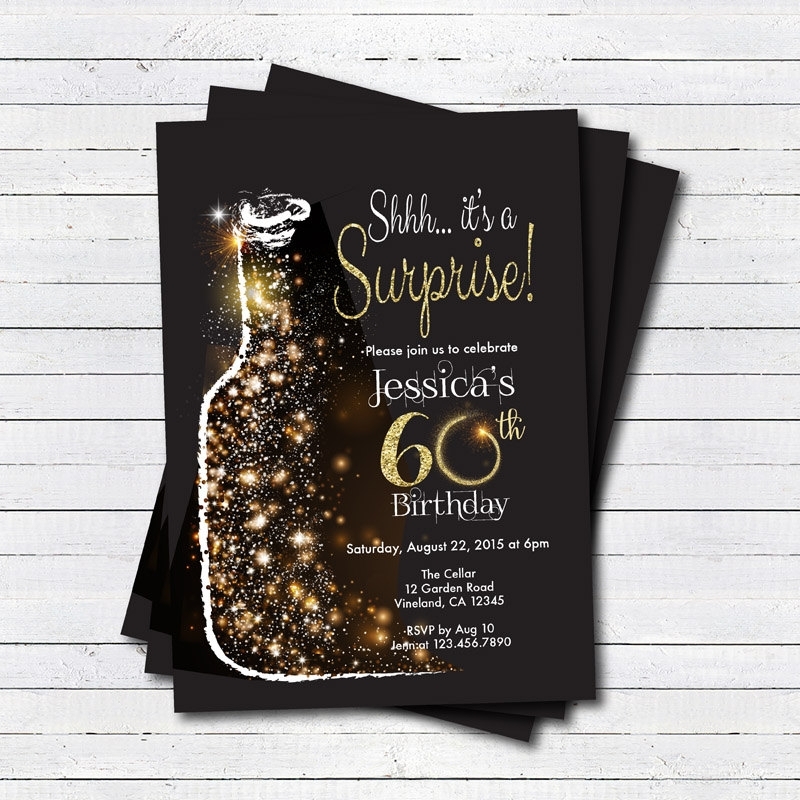 If the birthday celebrant is such a fun person or his or her character cannot be missed when he or she is already in the room, you can use Funny Birthday invitations. 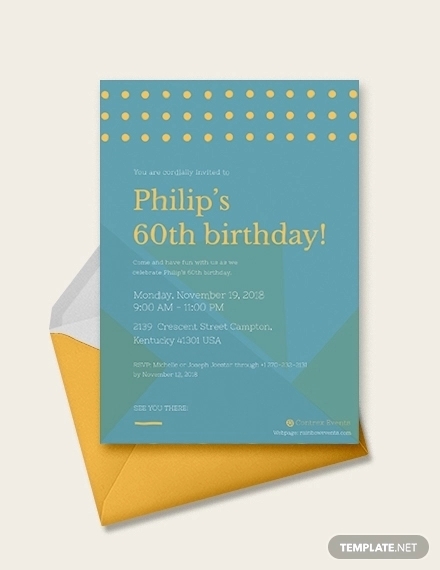 Ensure that the birthday invitation is a reflection of the person who will celebrate his or her 60th birthday. 1. 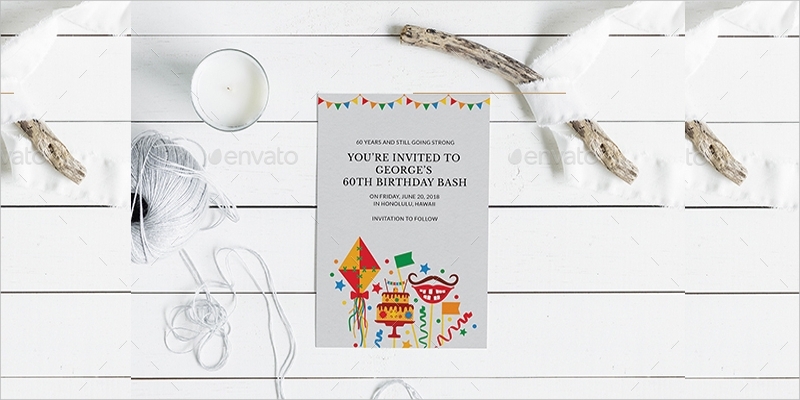 A 60th birthday party invitation is very different with 18th Birthday Invitations when it comes to aesthetic. You have to ensure that the invitation design that you will use is appropriate with the age of the birthday celebrant. 3. Do not go overboard when designing the birthday party invitation. 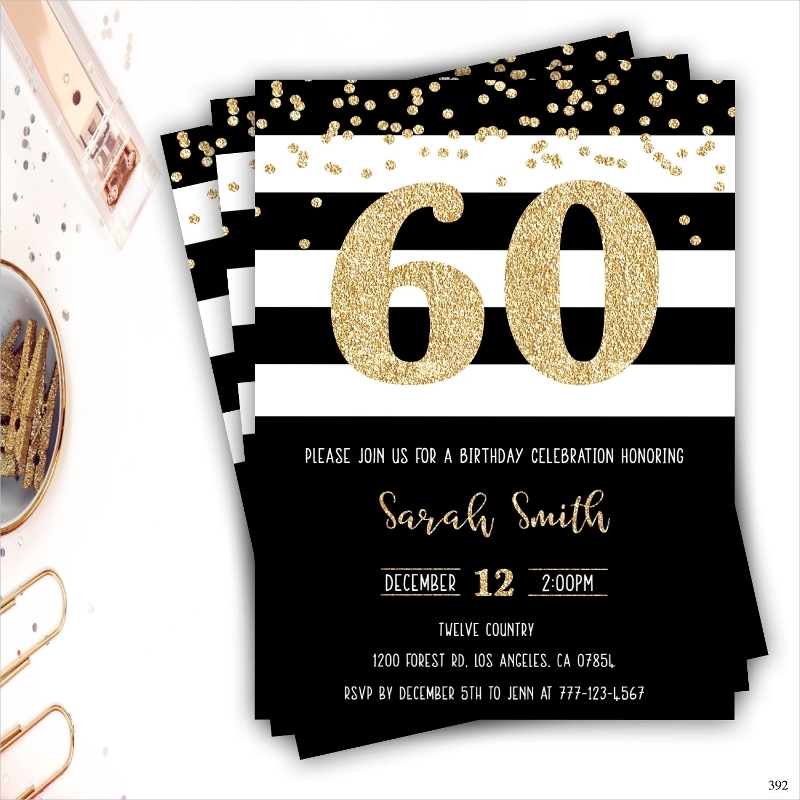 If you will use Retro Birthday Invitations, stick with the retro theme so that the design of the birthday invitation will not mislead people to thinking about what the birthday party will look and feel like. 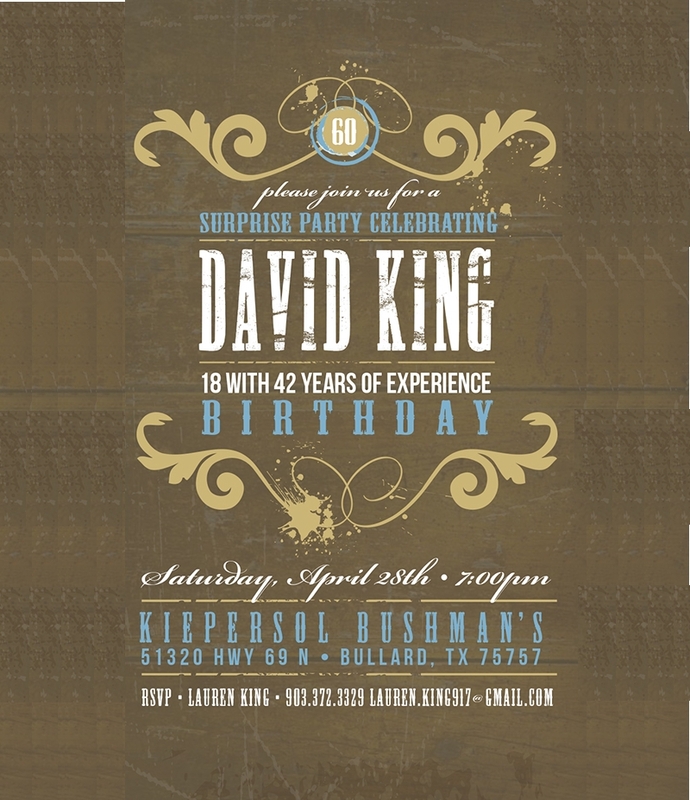 It is not an easy job to create a birthday party invitation for a 60 year old. There are several things that you need to consider so that you can make sure that the design and format that you will use is appropriate for the celebration. 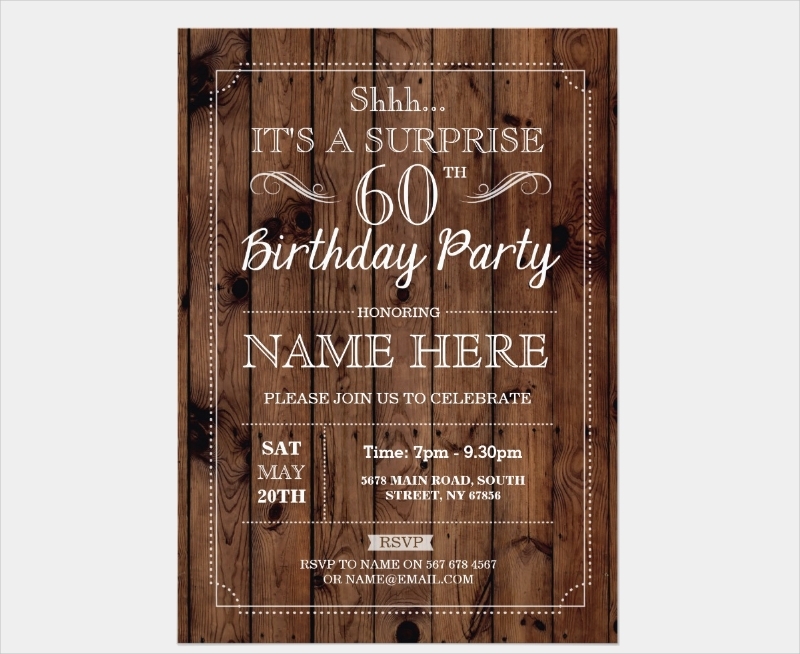 Listed below are some tips that you can use when making a 60th birthday invitation. 1. 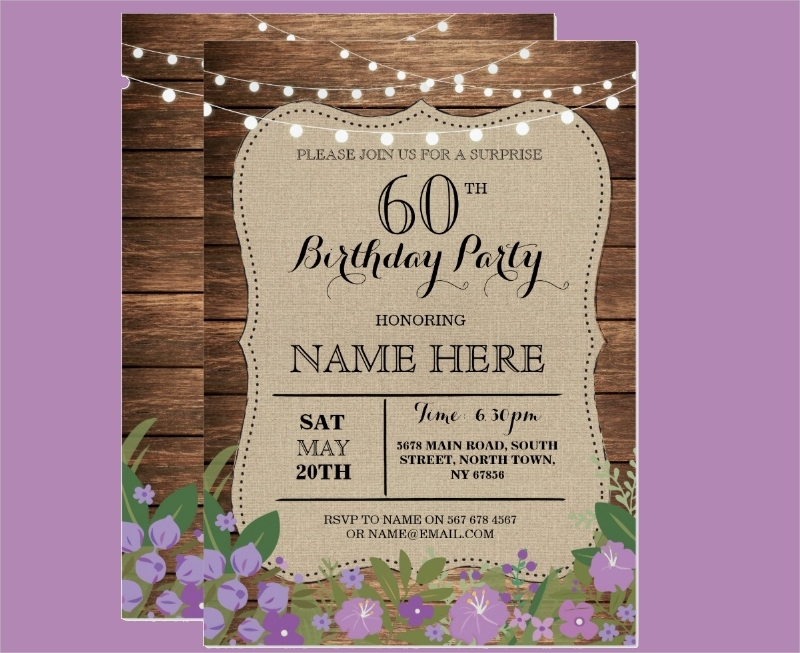 The process of creating a 60th birthday party invitation will mostly be likely the same compared to 50th Birthday Invitations. Ensure that there is maturity and in the design that you will select. 2. 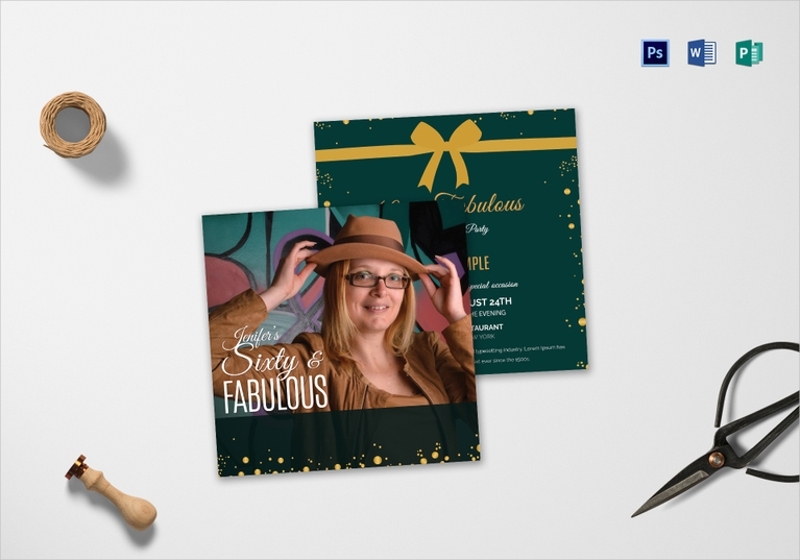 Create Personalized Birthday Invitations that both the celebrant and the guests can relate to. It is imperative for you to make sure that the characteristics of the birthday celebrant can be seen in the design of the birthday invitation. 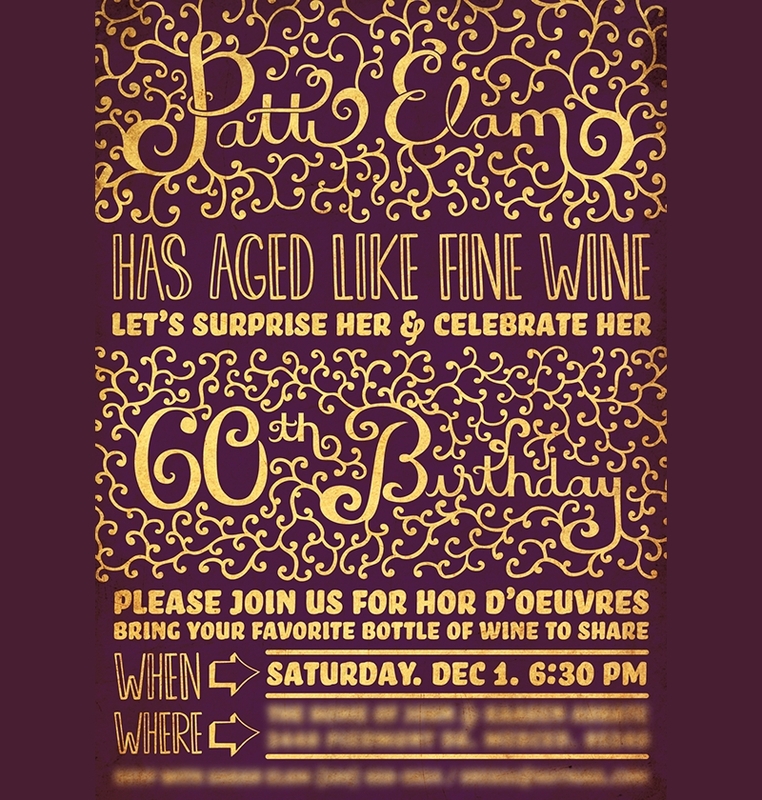 Why Use 60th Birthday Invitations? 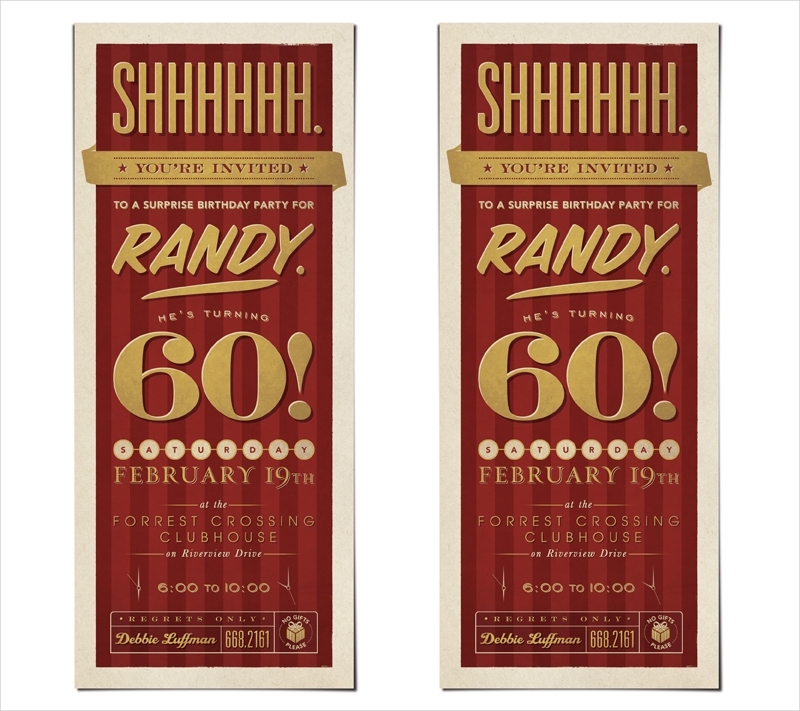 It is not required for a 60th birthday celebration to have 60th birthday invitations. 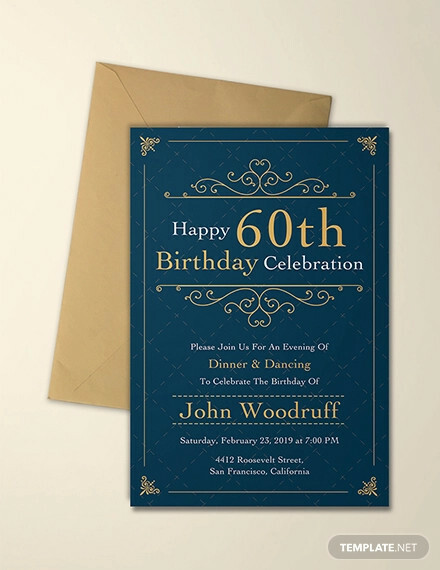 However, we want you to consider the fact that 60th birthday invitations, alongside chalkboard Birthday Invitations and other kinds of Printable Birthday Invitations, can provide a lot of benefits to the host, organizers, and attendees of the event.